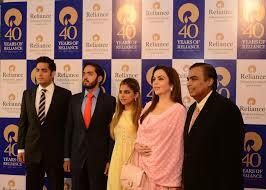 Reliance Jio Company joined hands with another company. The major telecommunications company Reliance Jio announced the handing out of the digital entertainment platform, Screen. It is a special agreement between the two companies for the Indian market. New Delhi: The major telecommunications company, Reliance Jio, has announced to have a hands-on deal with Digital Entertainment Platform Screens have. It is a special agreement between the two companies for the Indian market. 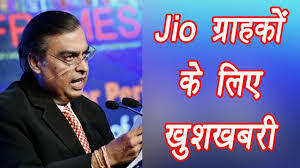 This partnership will go ahead with JIO's existing platform for gamification, in which at present, JIO's customers are enjoying JIO Cricket Play and JIO who wants to be a millionaire. Under this, better communication with the customers watching the different television channels of the company will be possible. According to the statement released by JIO, the broadcasters and publishers will be able to create content of this great theme by this partnership. The features available on this forum are quite feasible for a variety of topics. Also, it is able to create harmony with the dialogue between the broadcasters and the audience at the right time and keep the audience engaged. According to the release, through this platform, customers of JIO will be able to communicate with broadcasters through any TV show or through quiz or polling etc. It has been said in the statement that better communication between the distributors and their audiences will be ensured from this stage, so that their needs can be properly understood. Screening is a major digital entertainment company that provides software edge a service, so that the two-way communication between the broadcaster and the consumers can be facilitated.